Hi there - again, not a bird that I prepared at the Field. 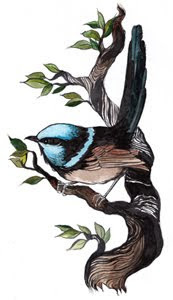 Fairy wrens are native to Australia. 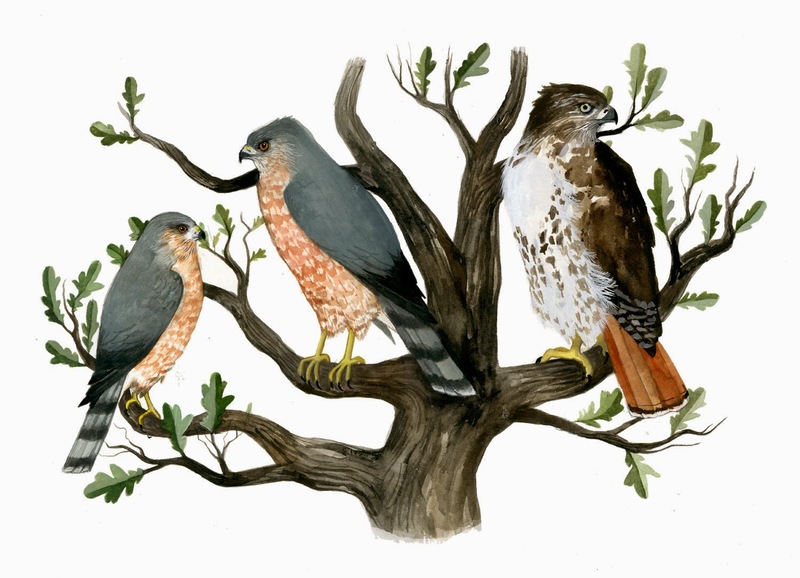 This is another drawing for a tattoo (different person than the one that is getting the scissor-tailed flycatcher.) for someone that wanted a wren. Initially I was going to go with a house wren or some other North American wren, but in the end we opted for something a little, um, flashier. wow diana, the bird and the branch are both super beautiful. you're awesome. i love this. so pretty.